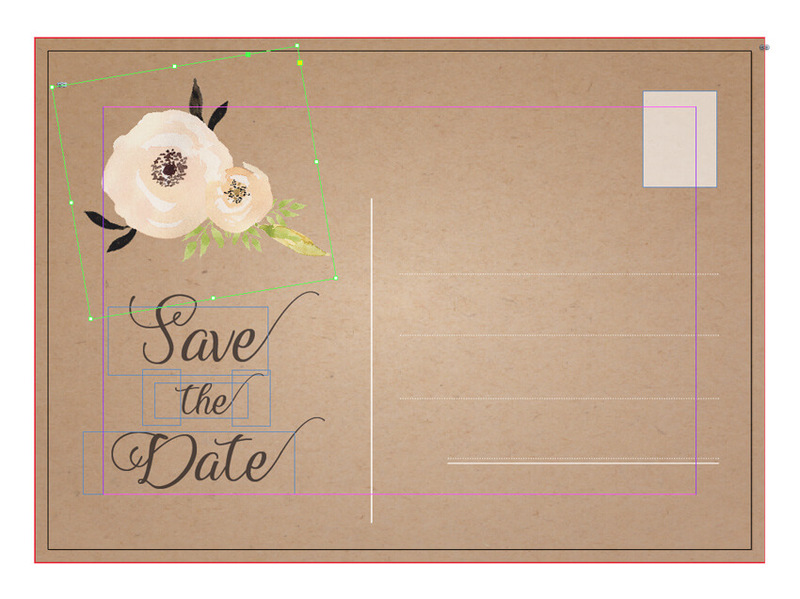 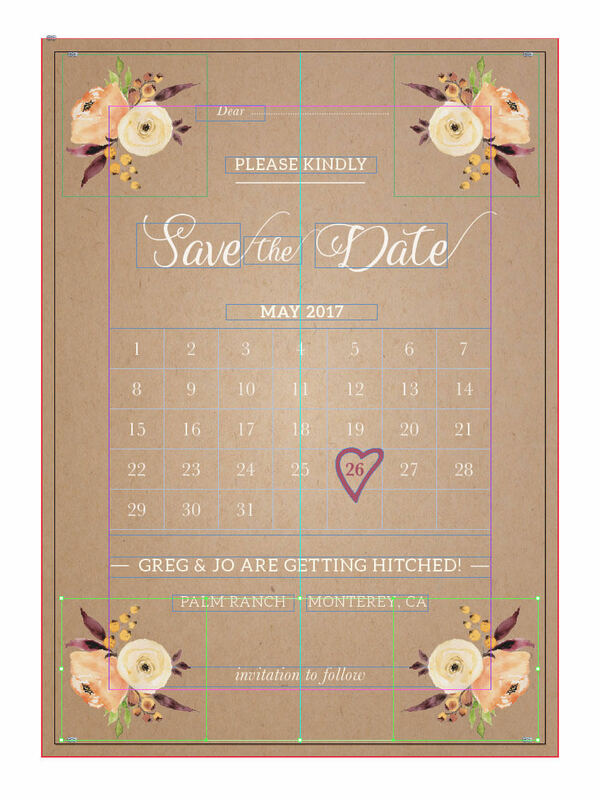 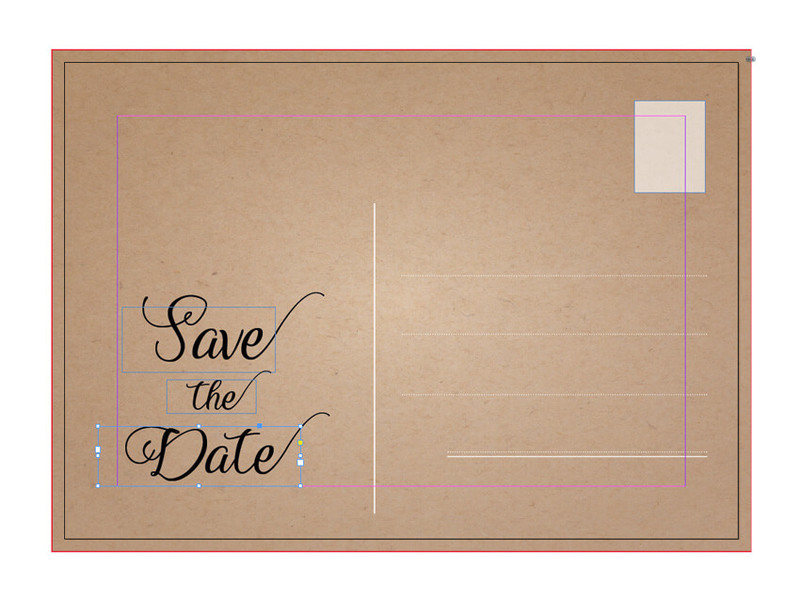 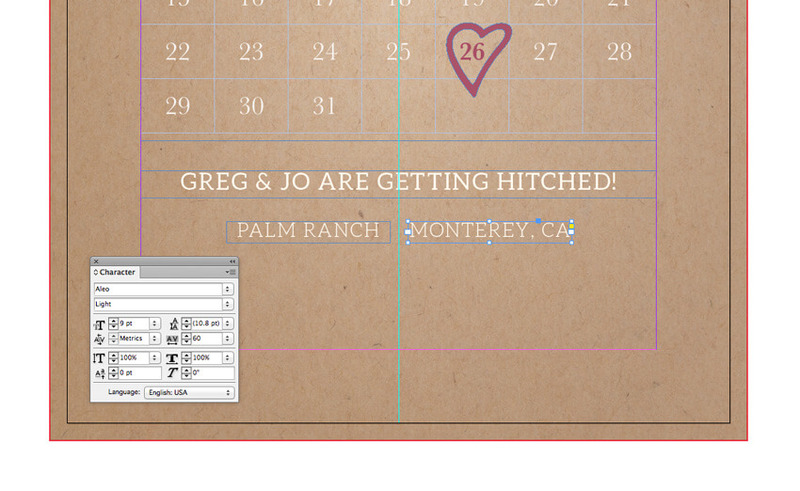 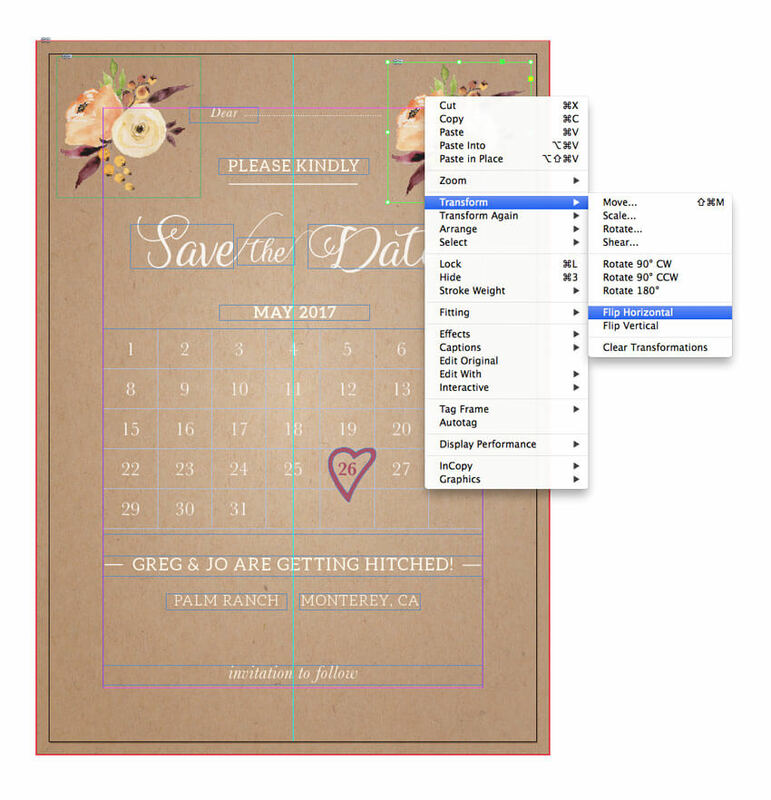 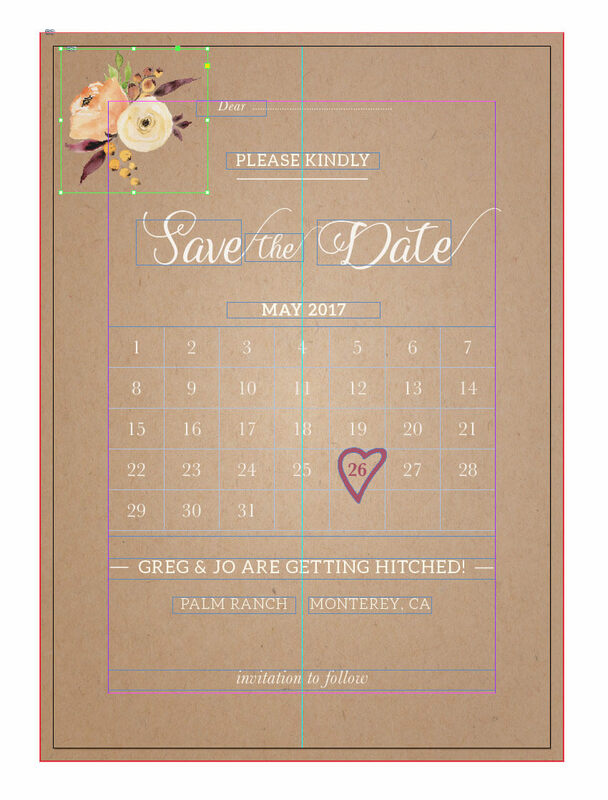 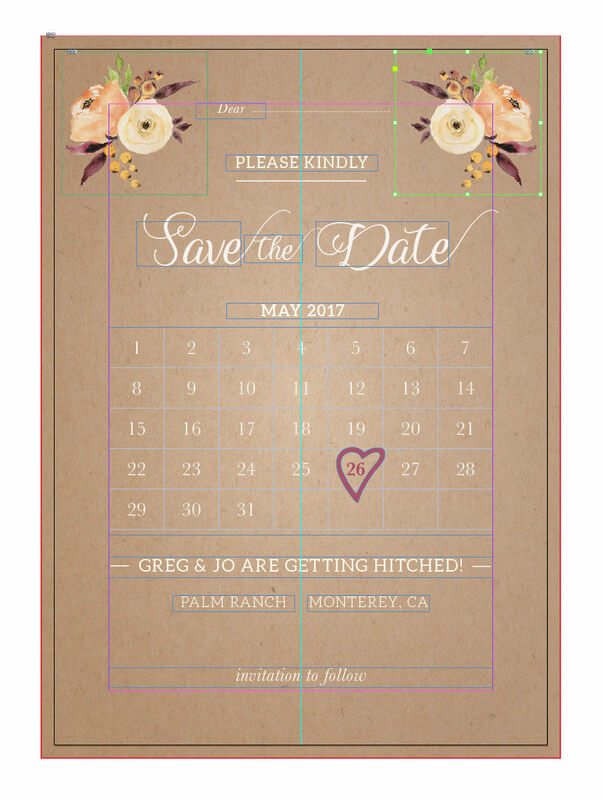 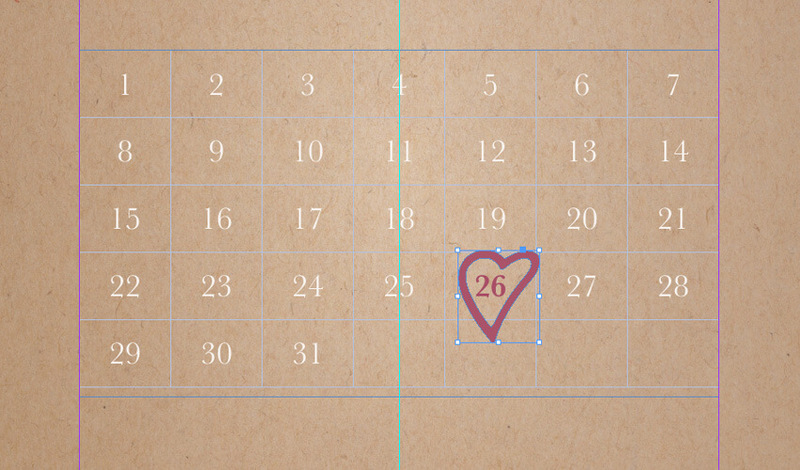 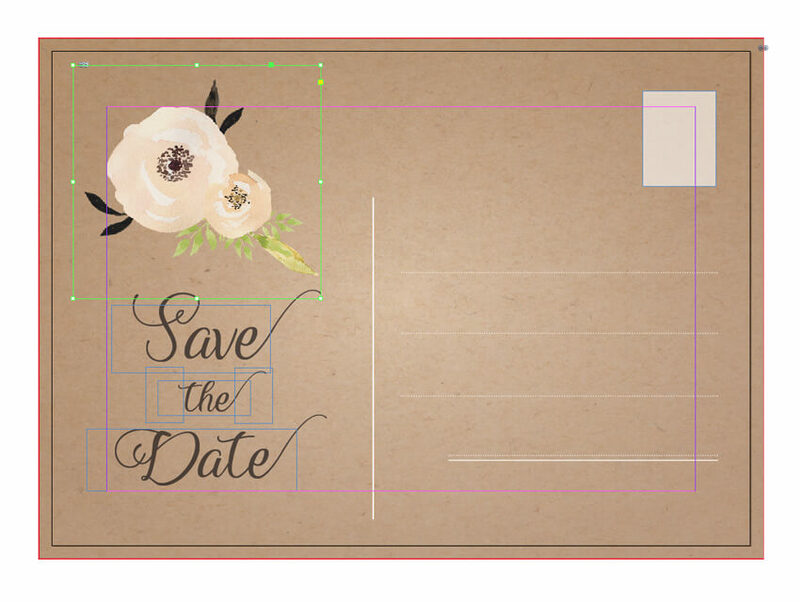 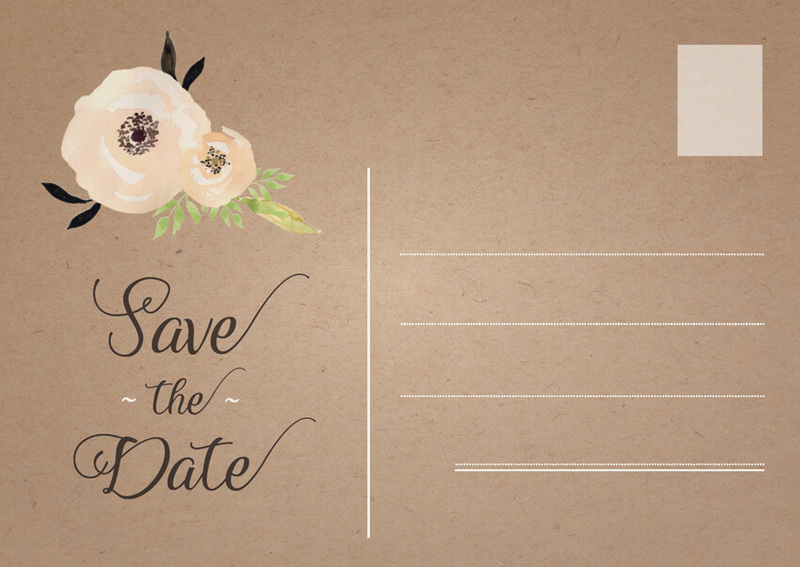 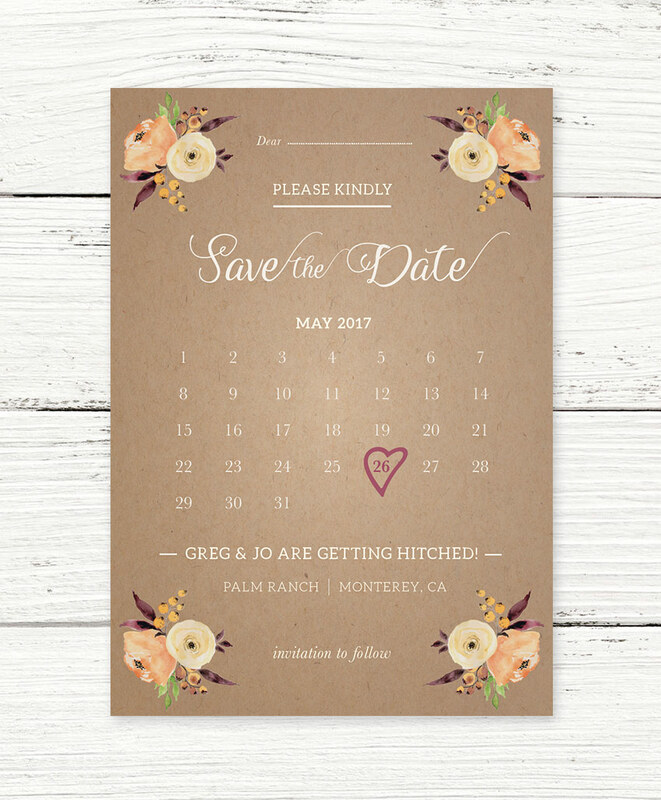 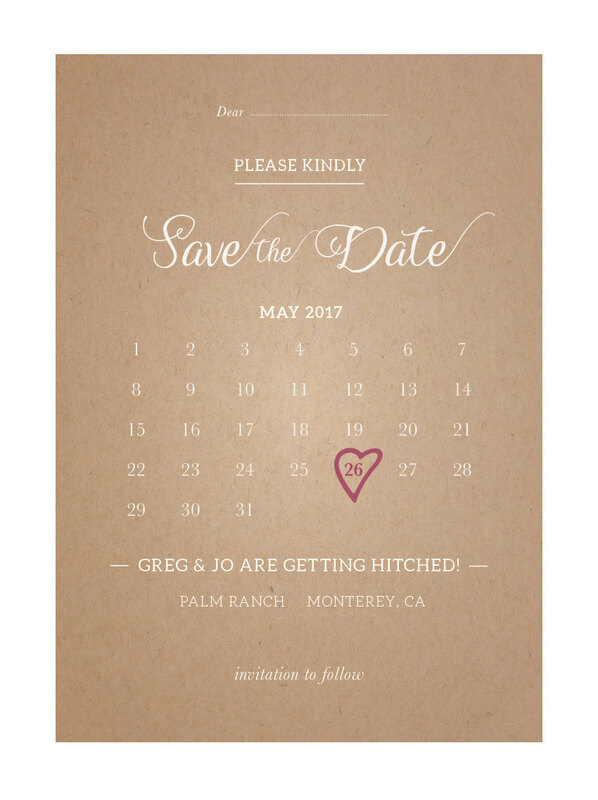 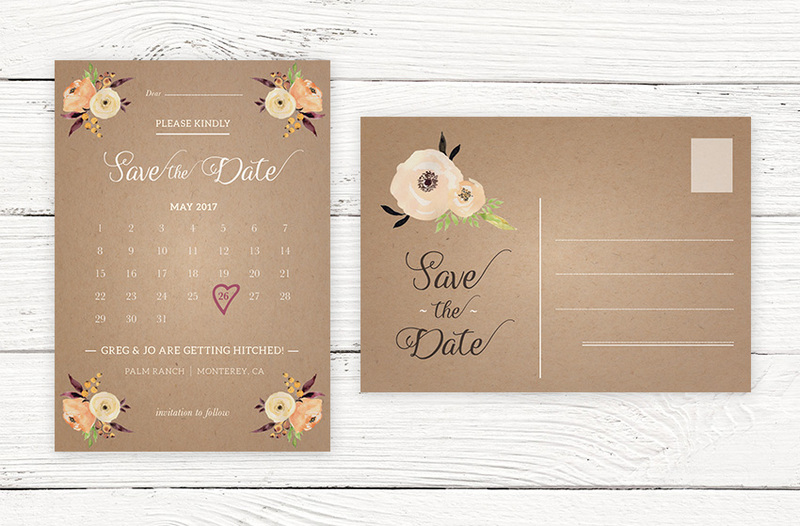 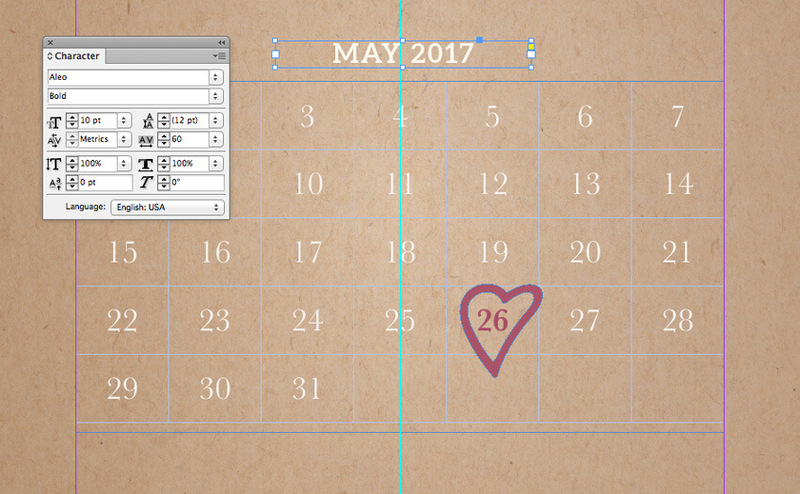 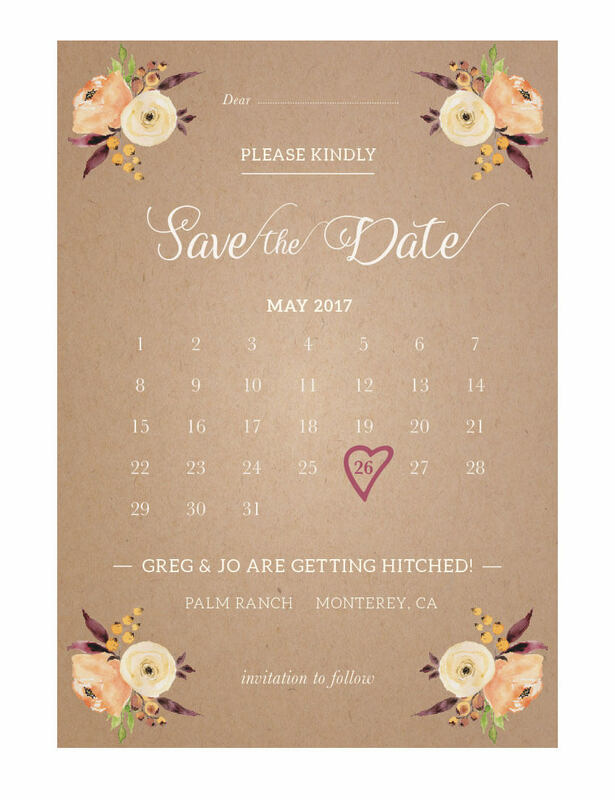 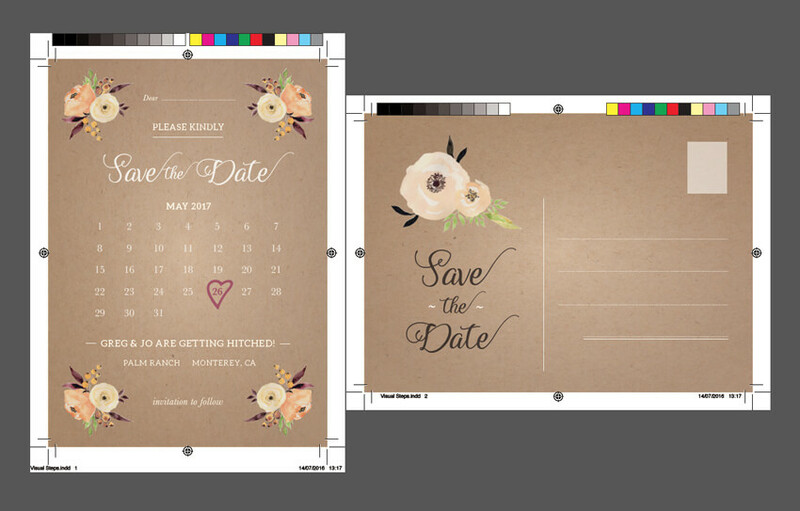 Getting the size of your Save the Date cards is important—too large or small and they might not conform to postal standards. 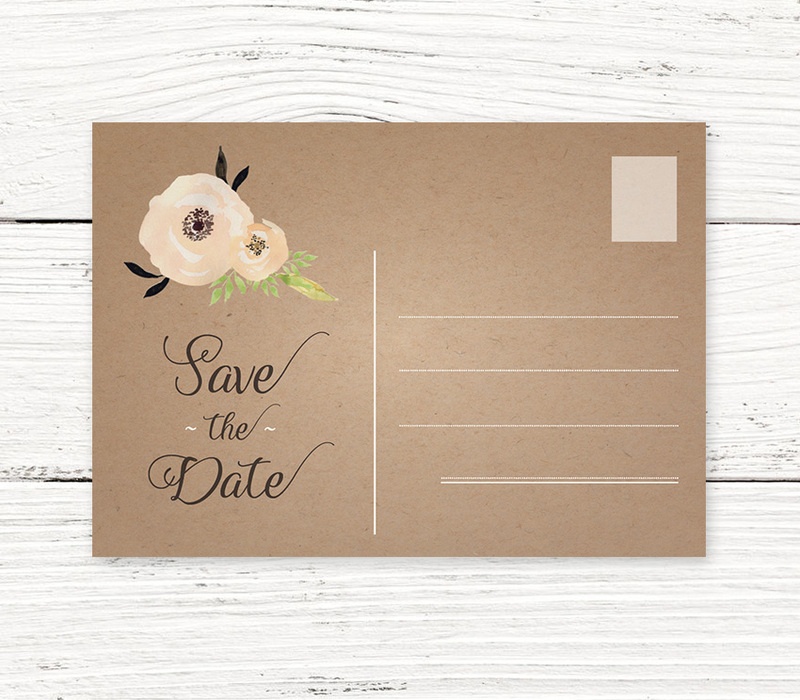 If you’re planning to send your cards in envelopes, you’ll also need to make sure that the cards fit inside perfectly before you spend time and money designing and printing them. 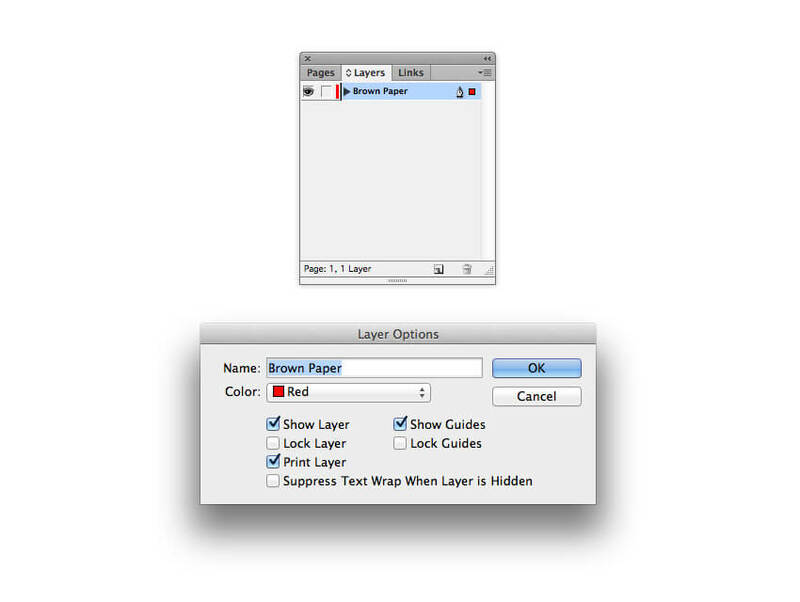 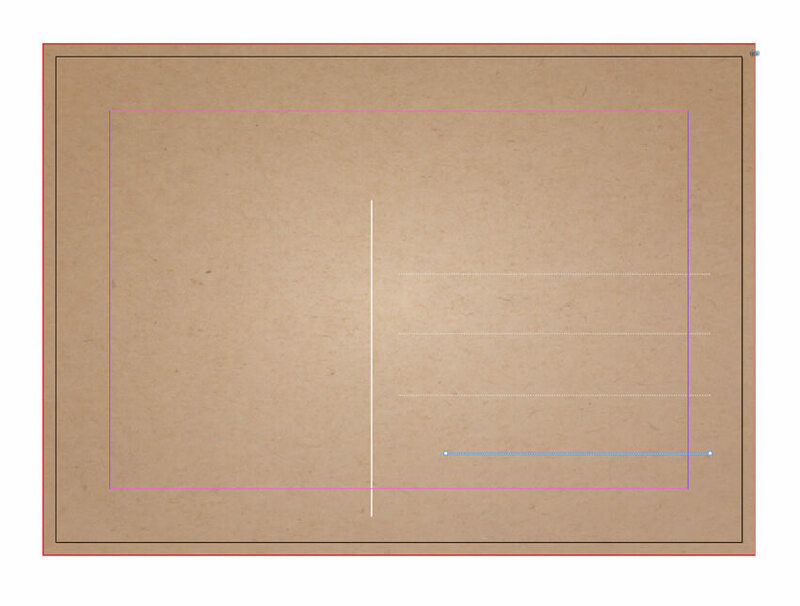 Open the Stroke panel (Window > Stroke). 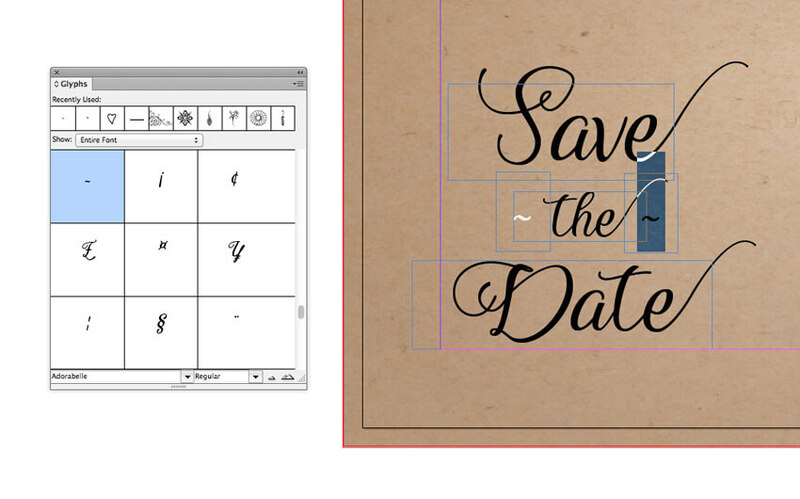 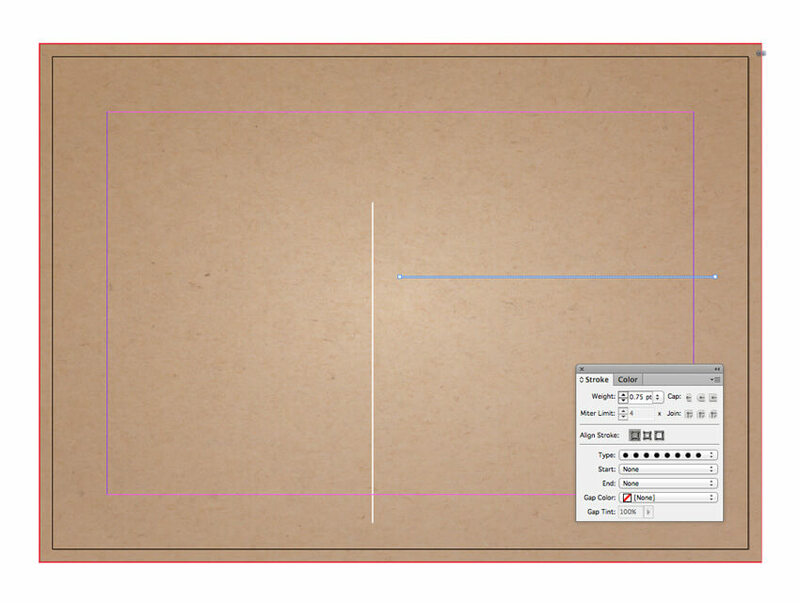 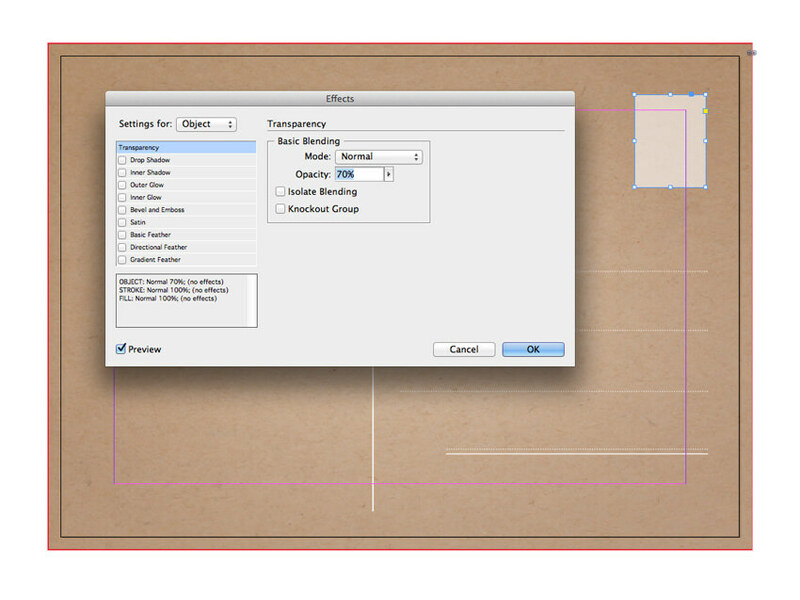 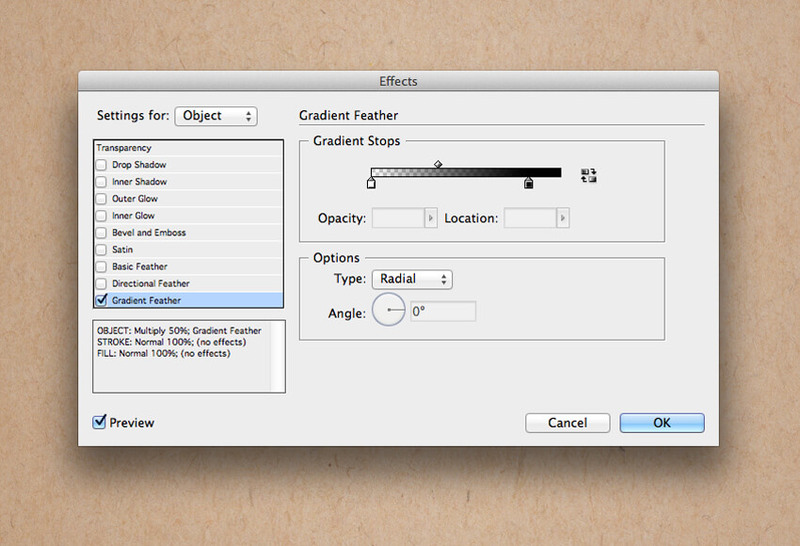 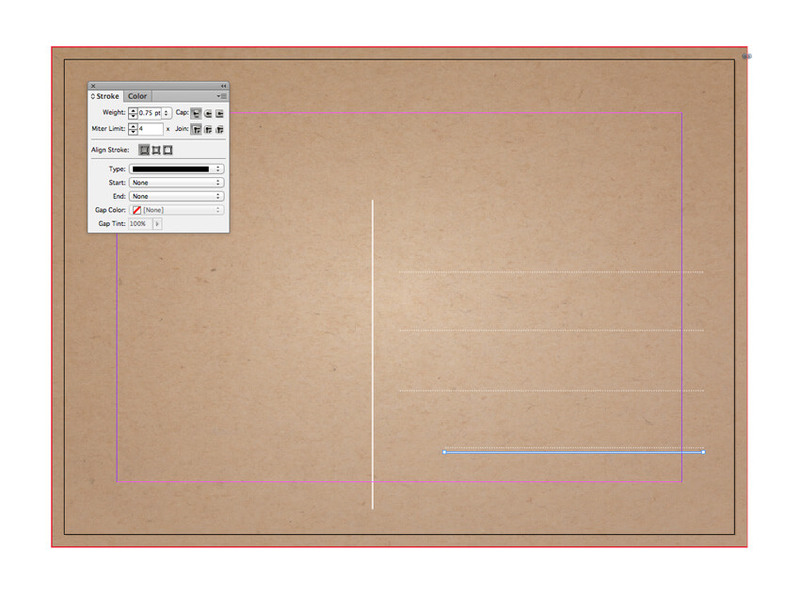 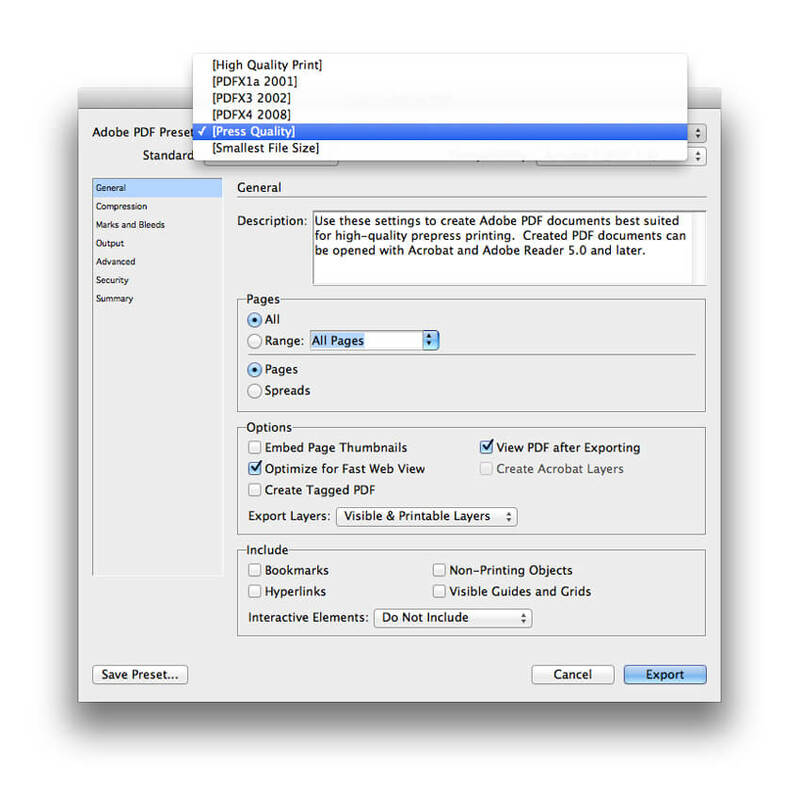 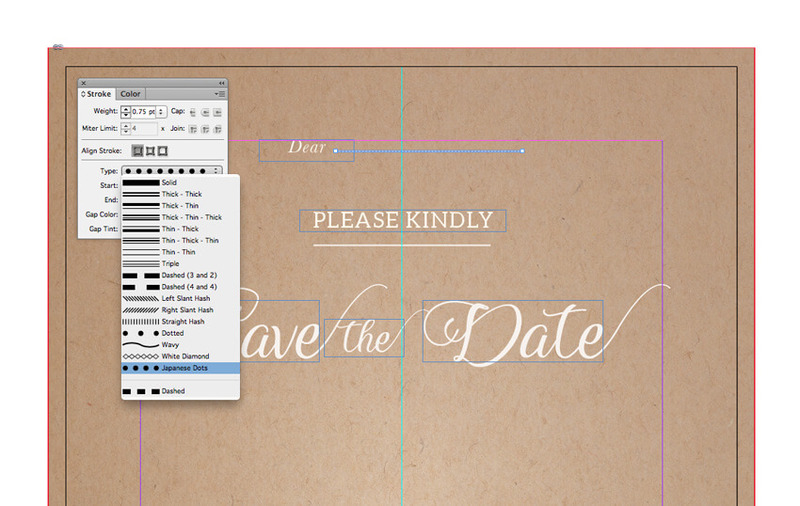 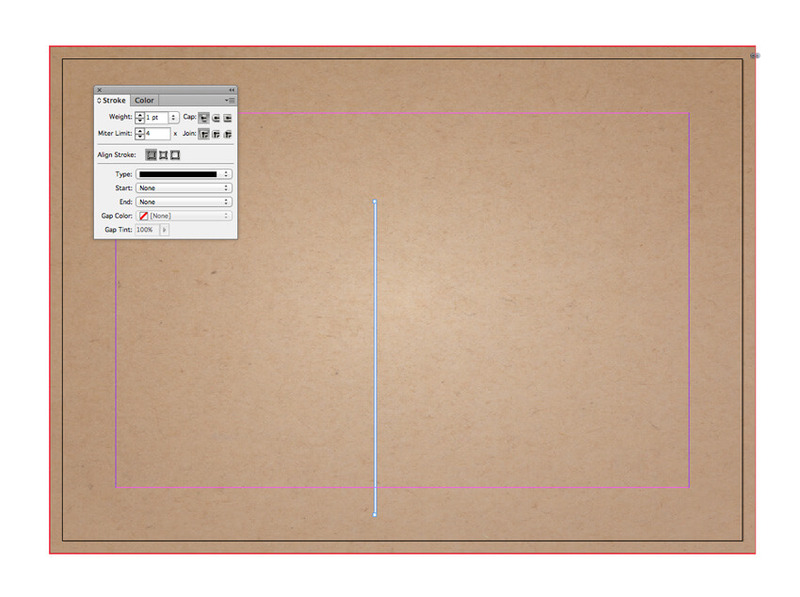 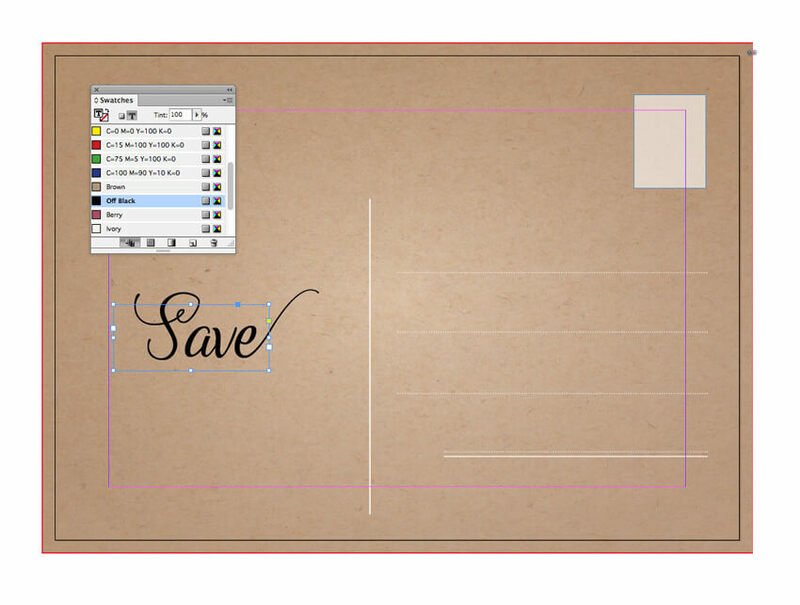 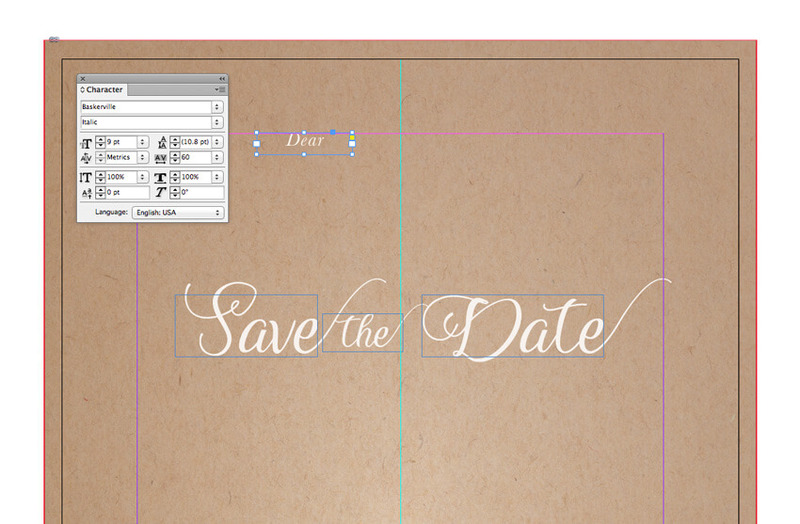 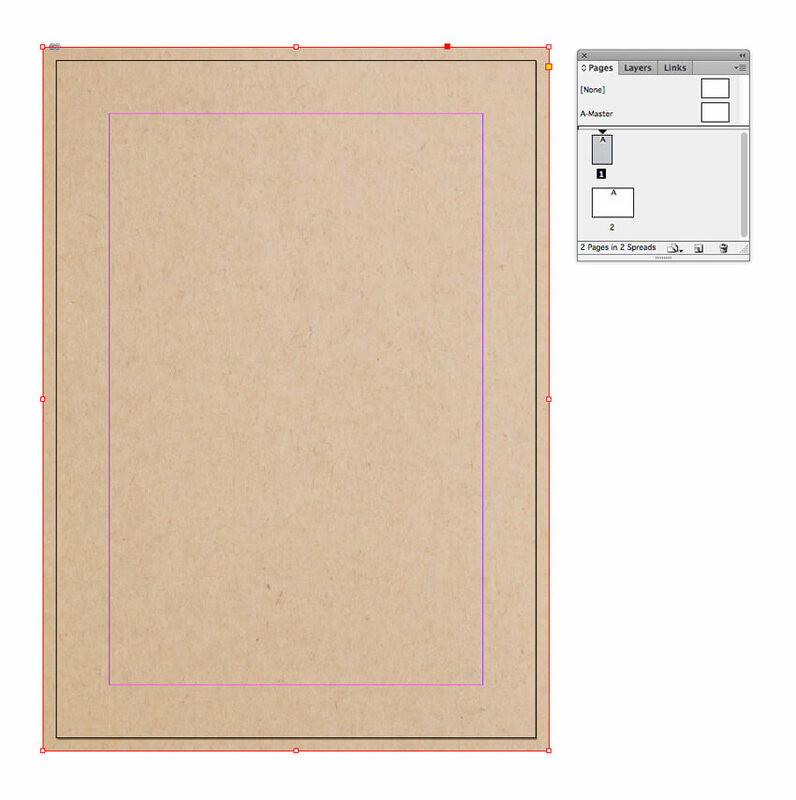 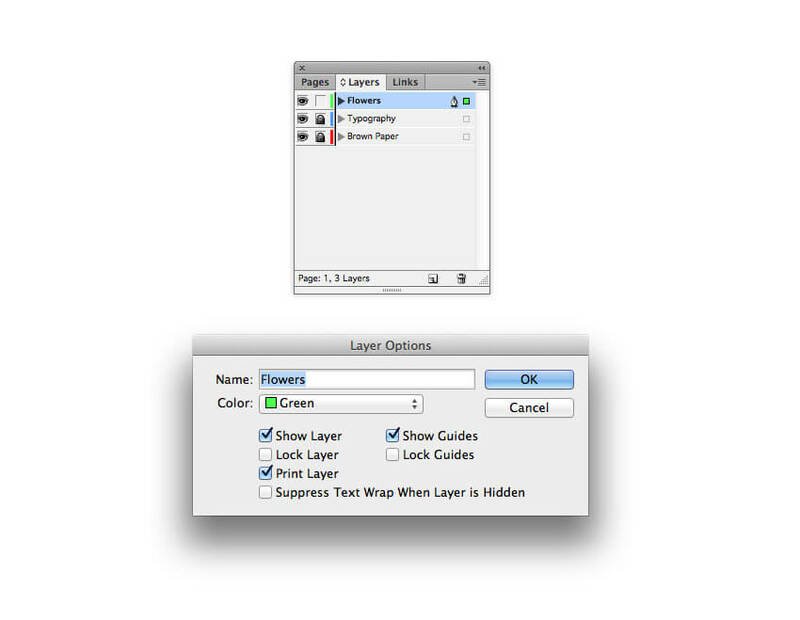 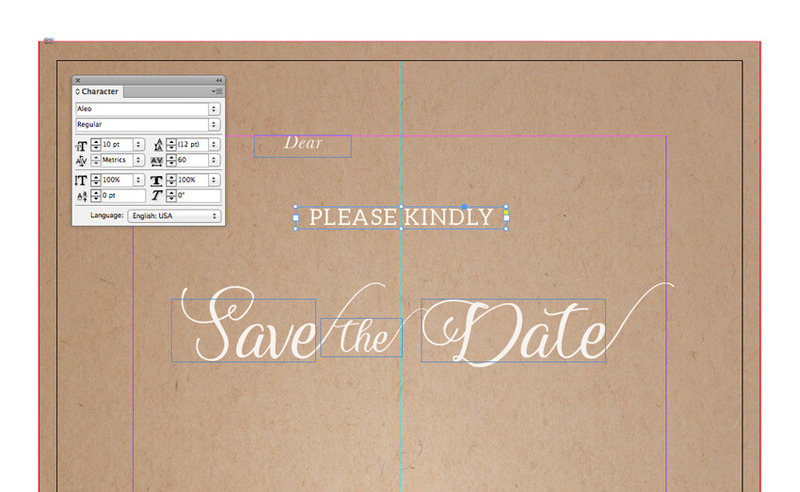 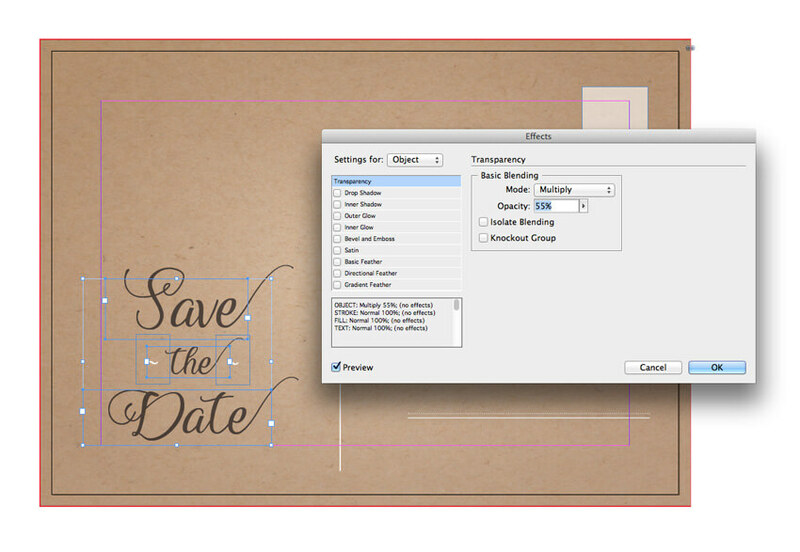 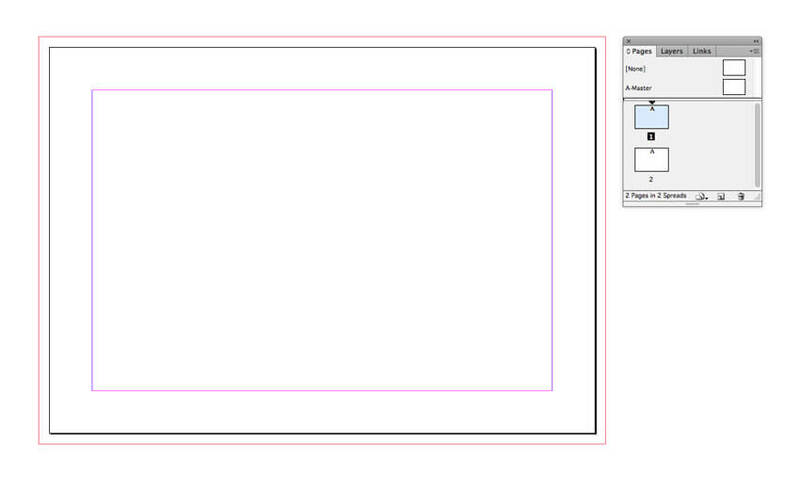 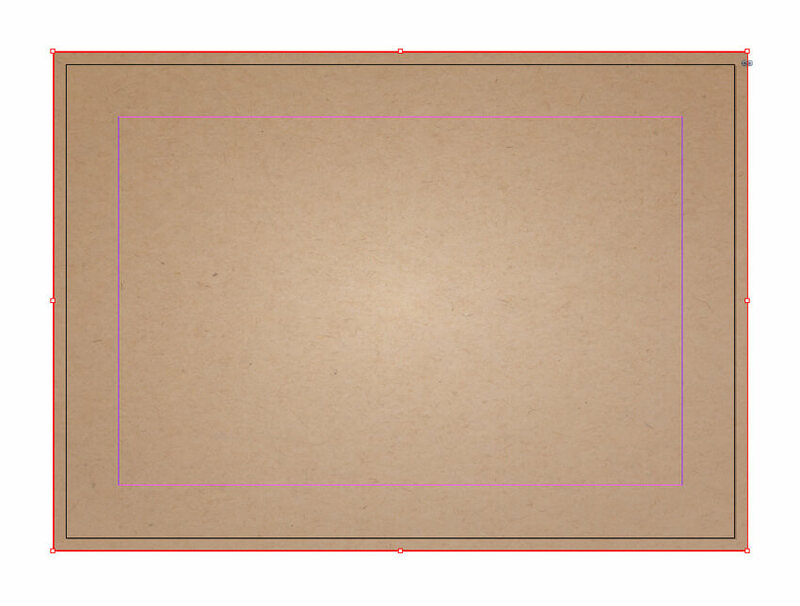 Select the Line Tool () and, holding Shift, drag from left to right to create a straight line beneath ‘Please Kindly’. 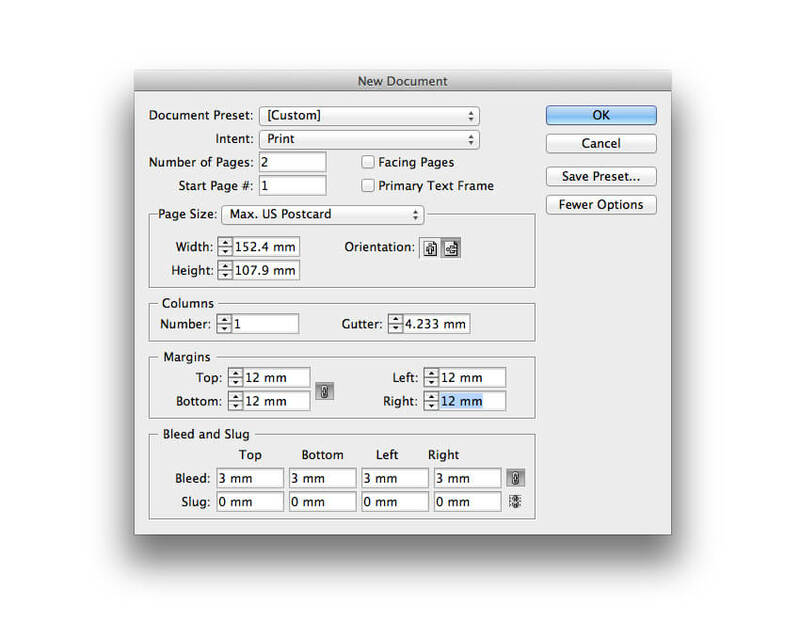 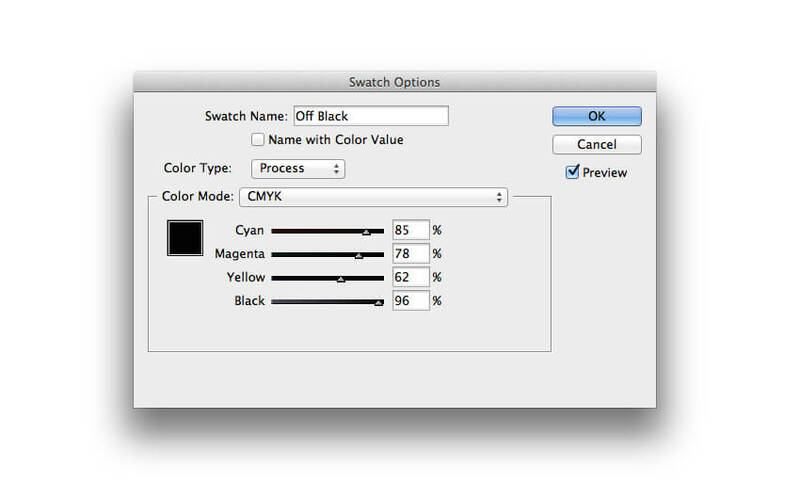 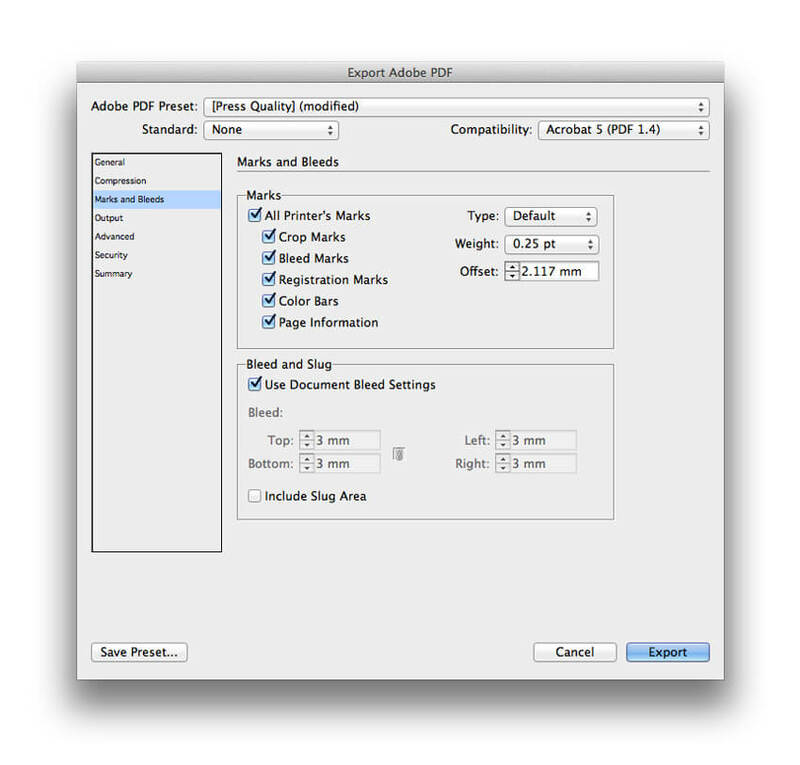 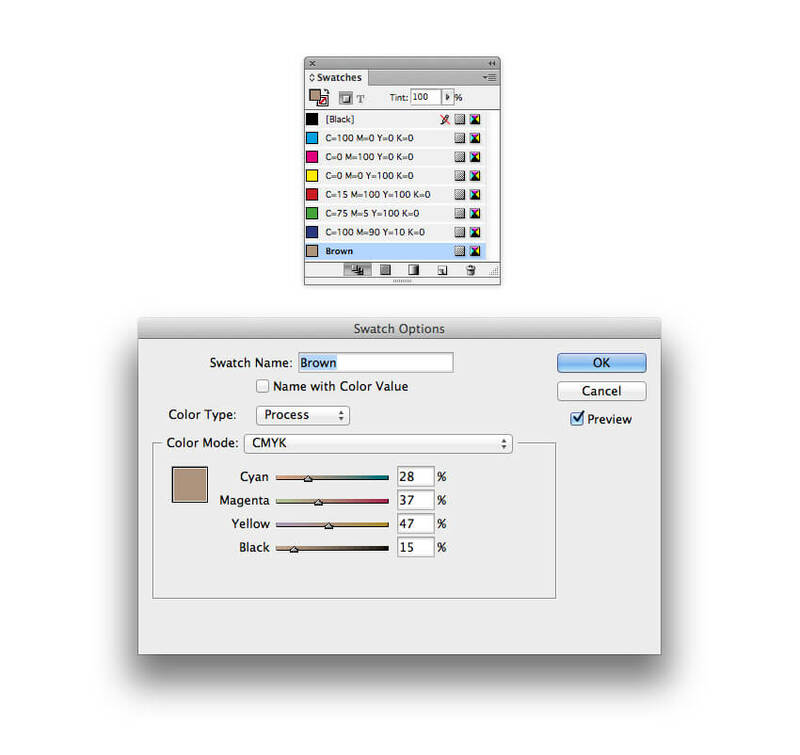 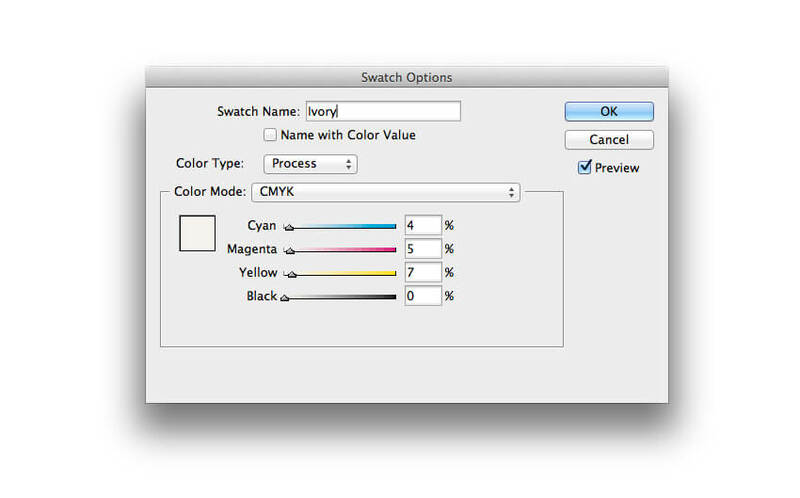 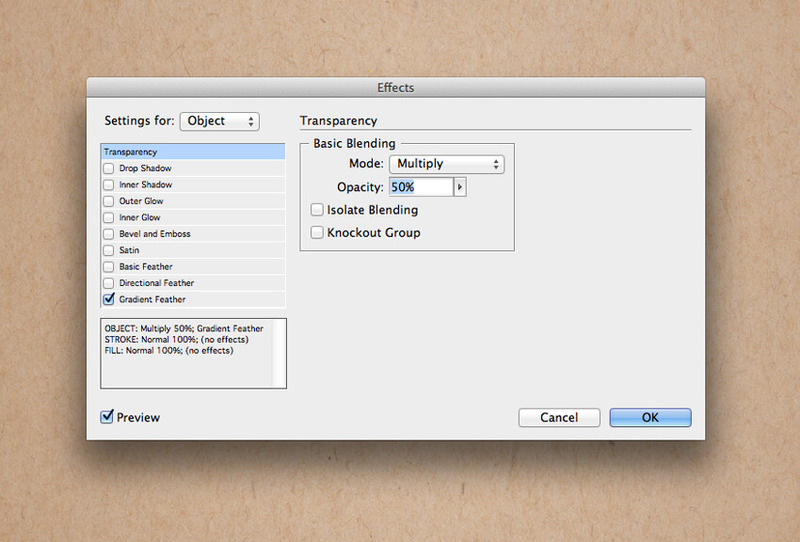 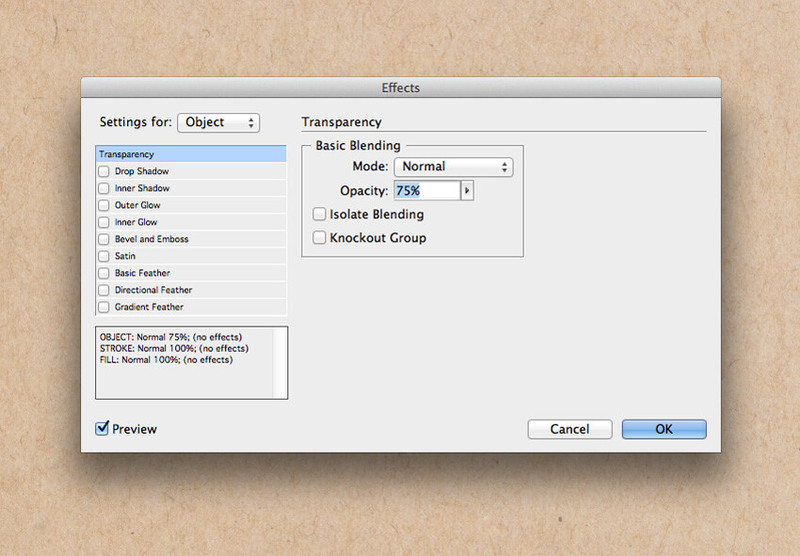 Set the Stroke Color to Ivory, Stroke Weight to 0.75 pt and Type to Solid. 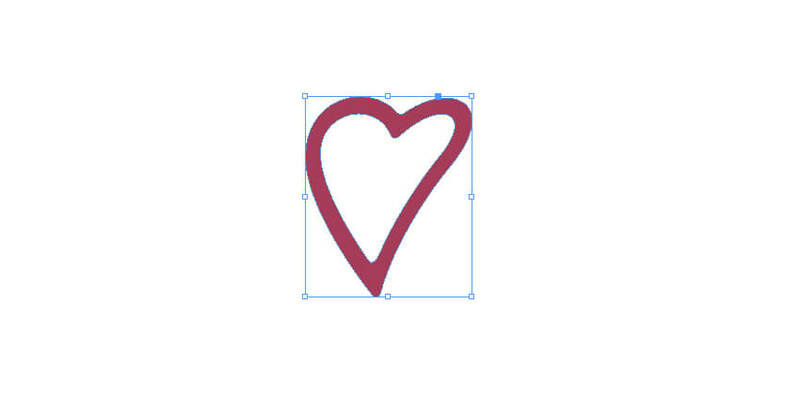 Use the Line Tool () as before, to create two equal-width lines to sit to the left and right side of the top line of text. 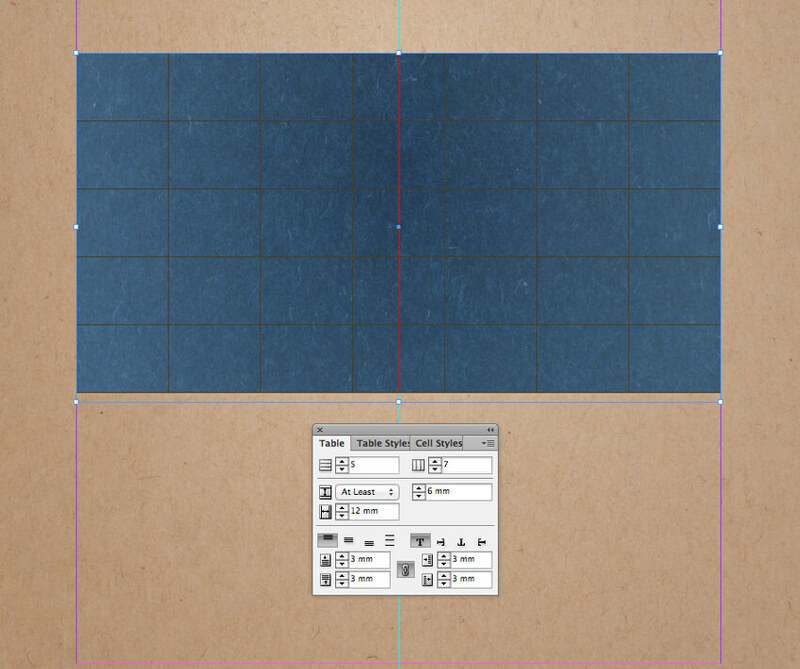 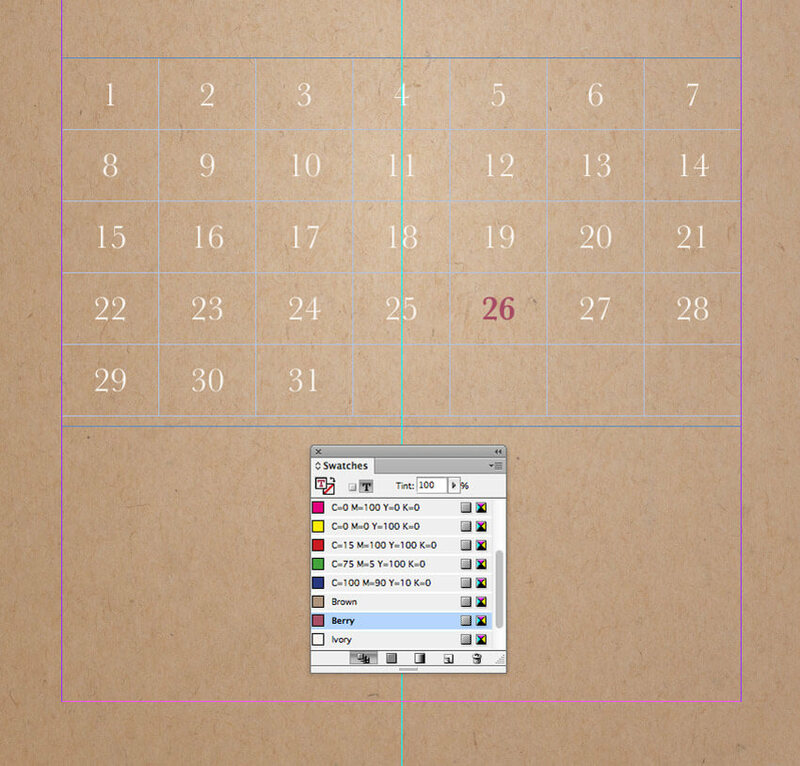 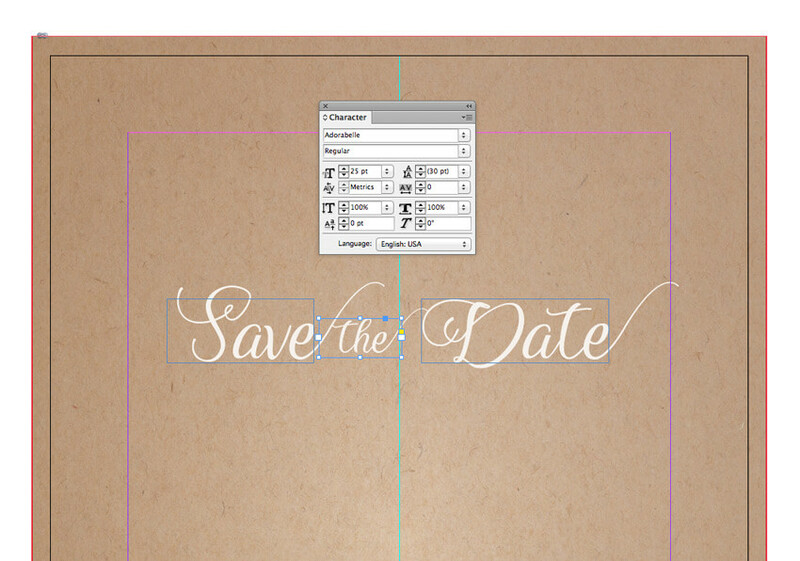 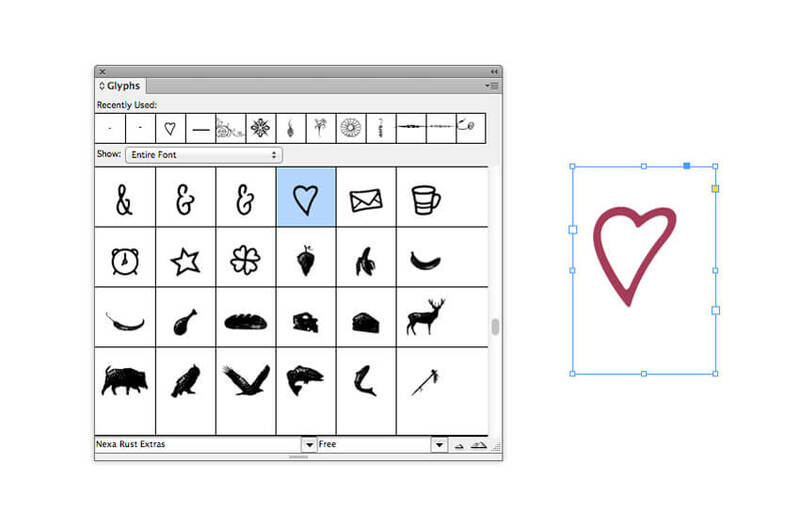 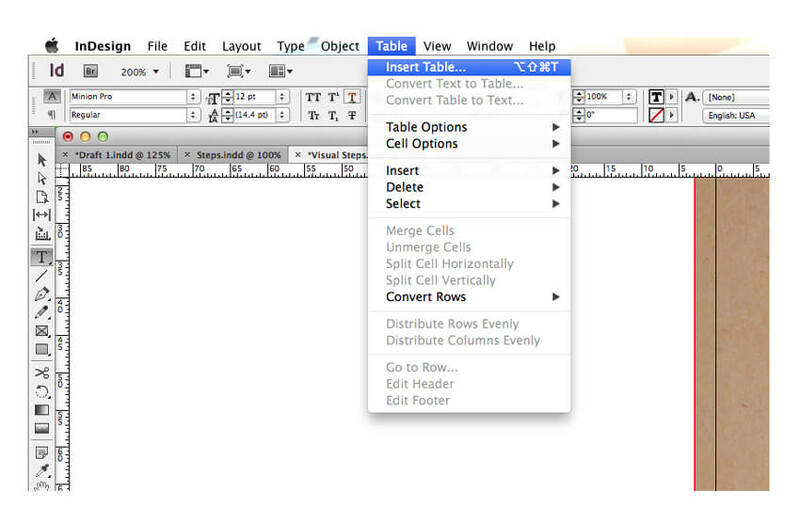 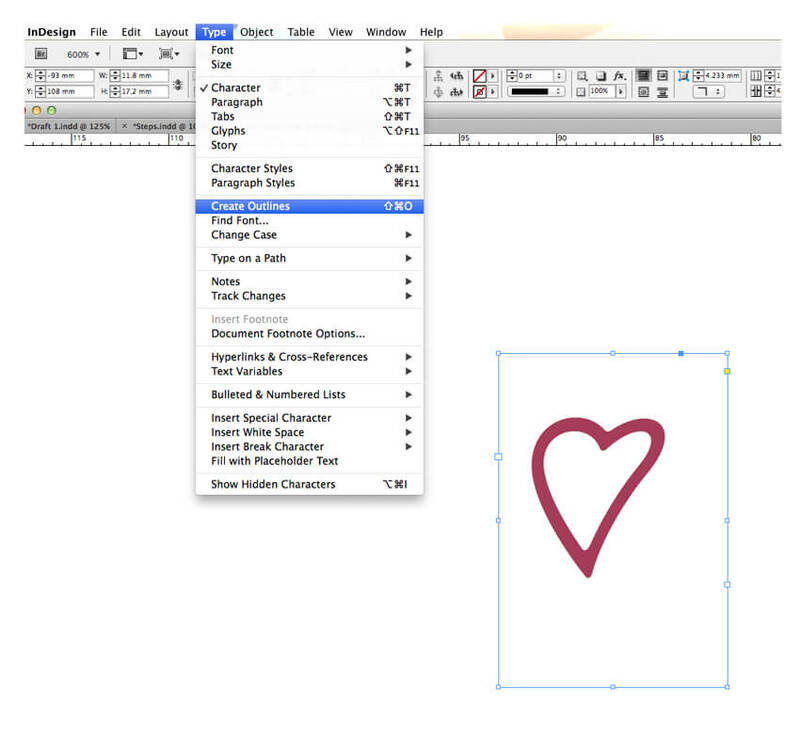 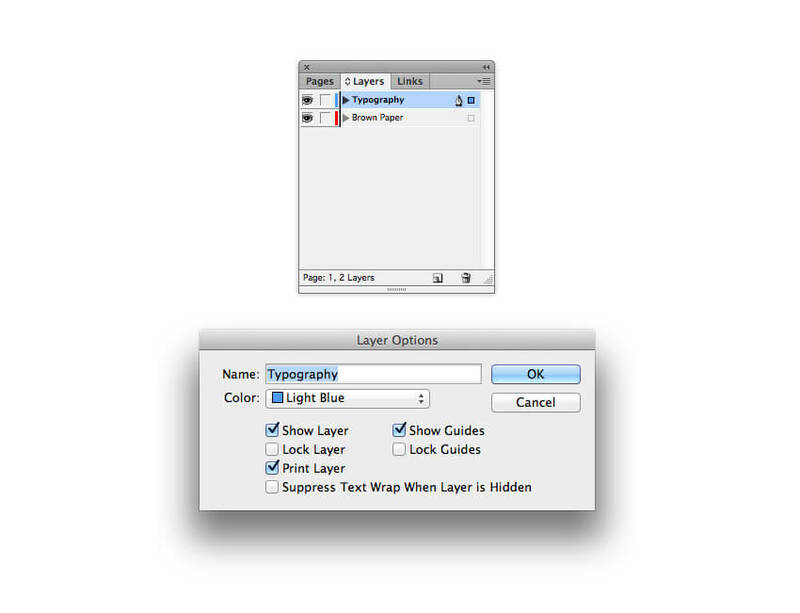 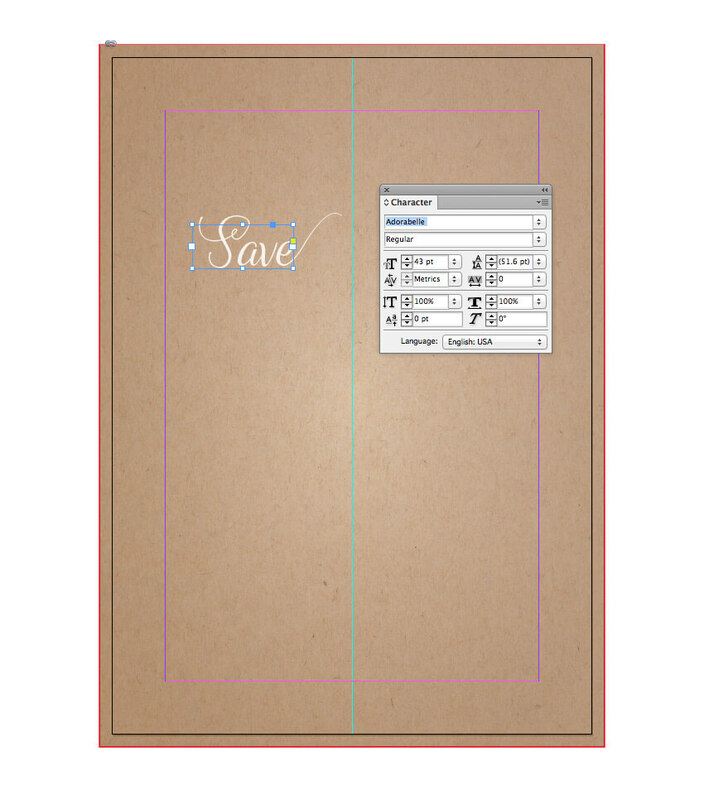 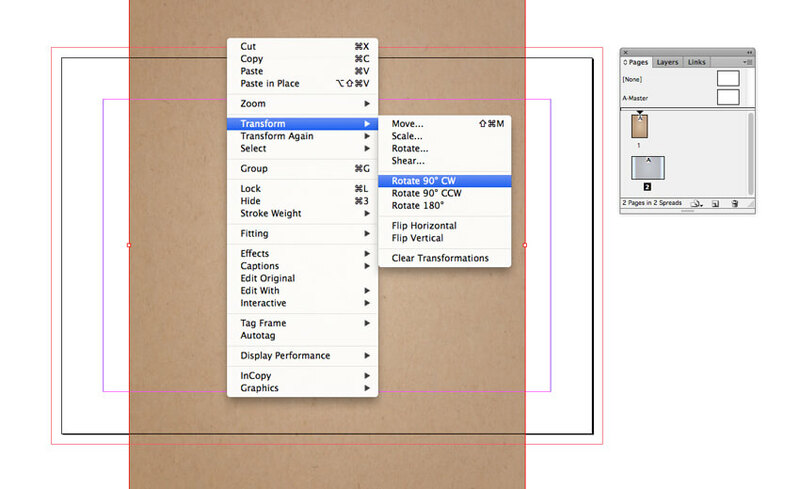 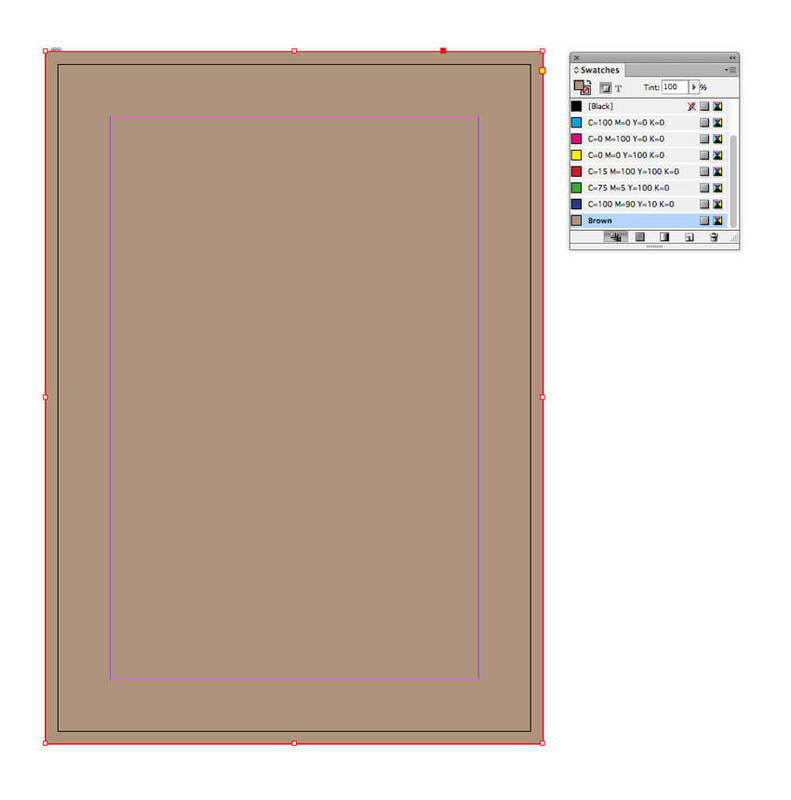 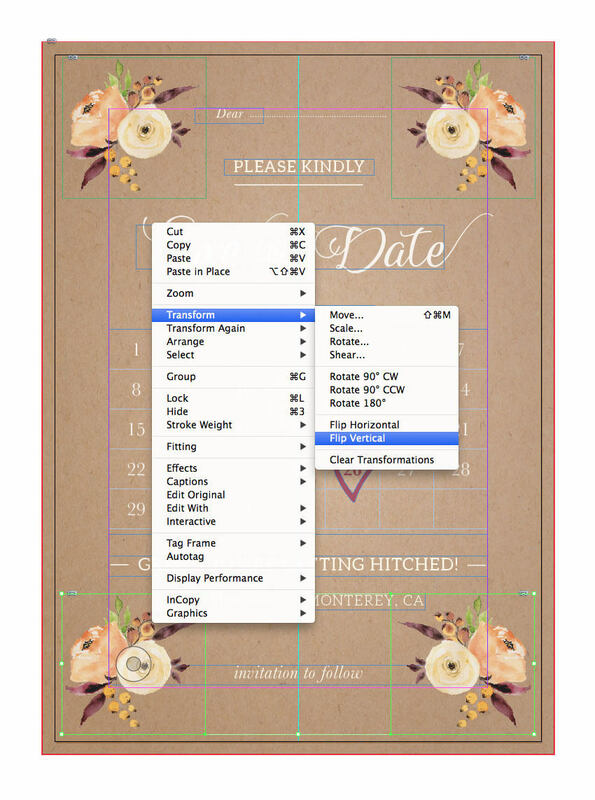 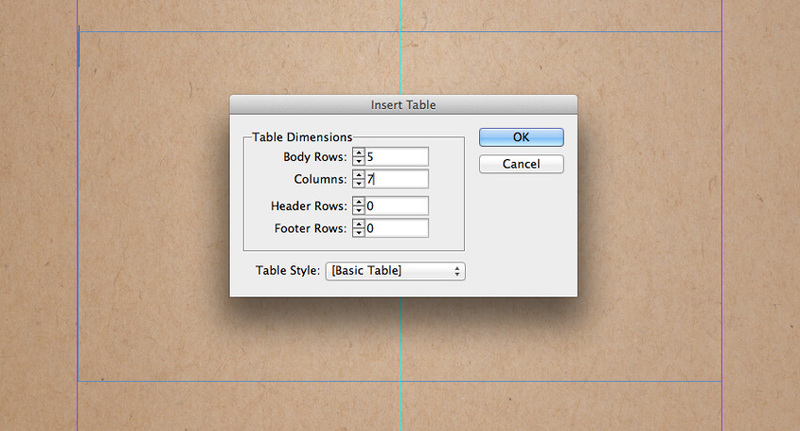 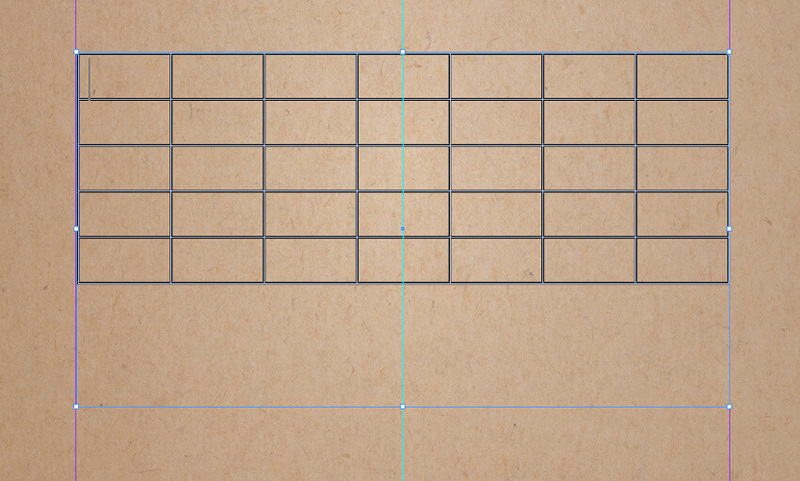 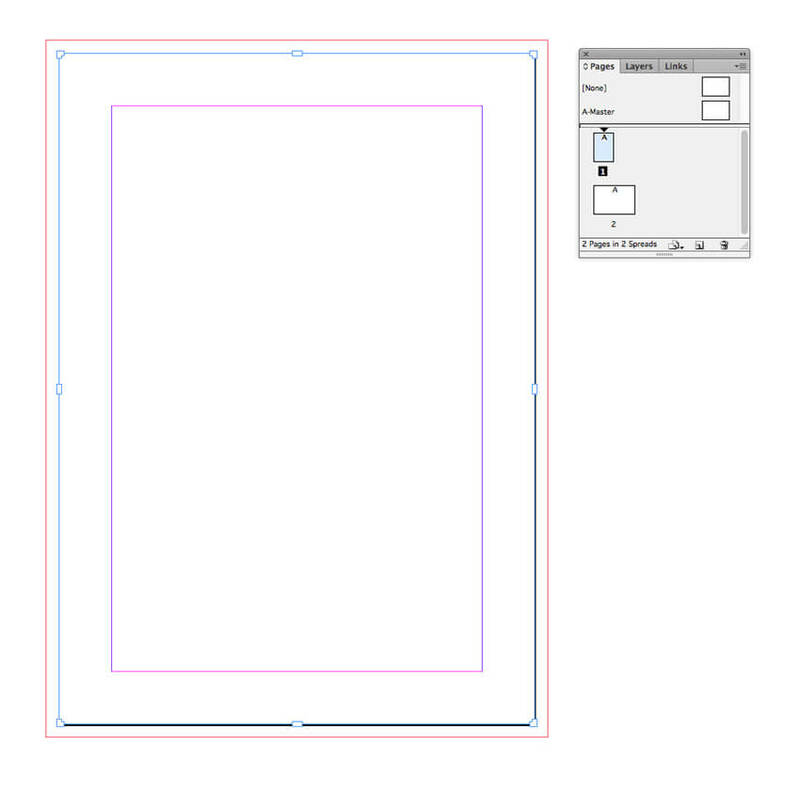 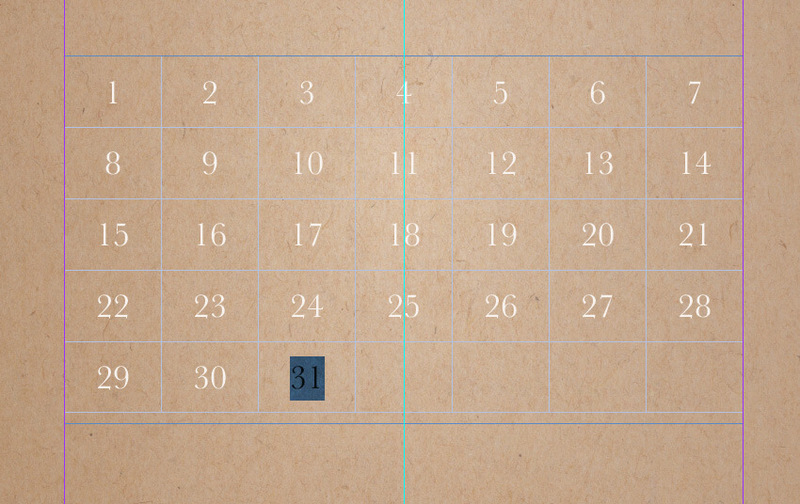 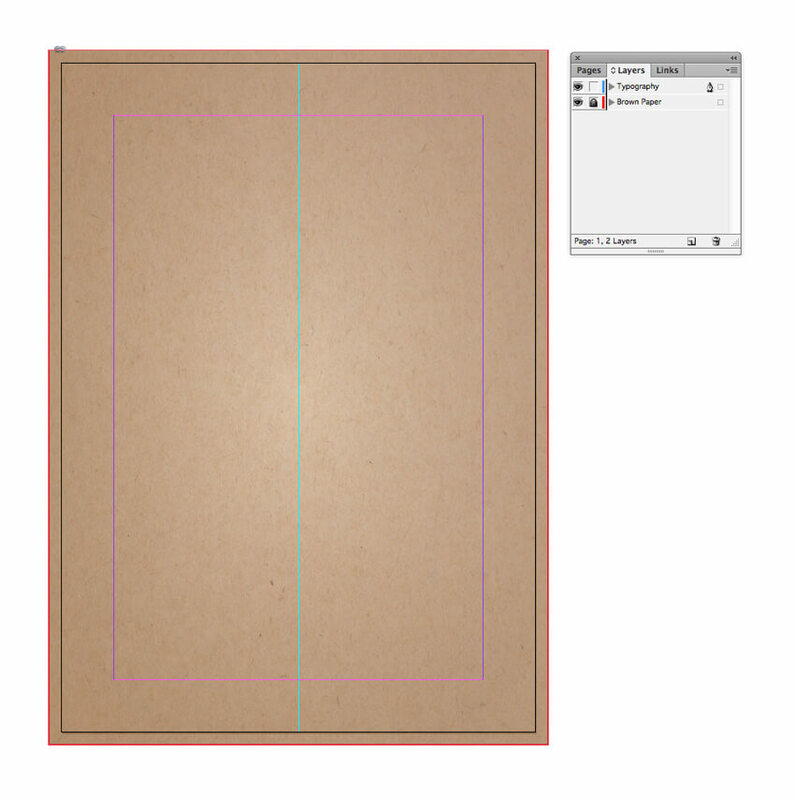 Take the Line Tool () and, holding Shift, drag downwards to create a long vertical line. 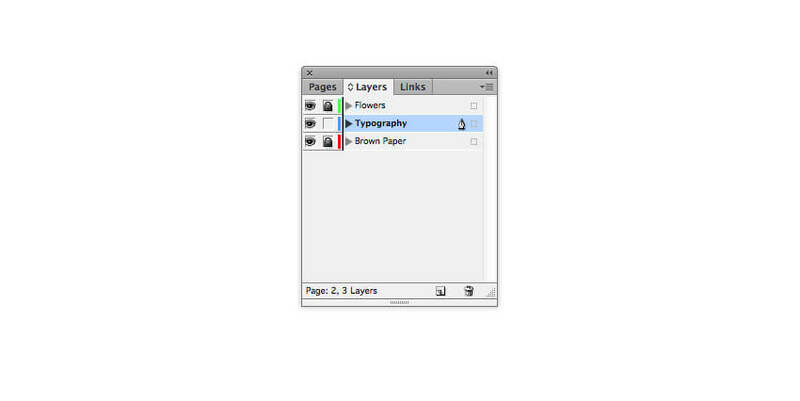 Position it just shy of halfway across the page, towards the bottom, as shown below.